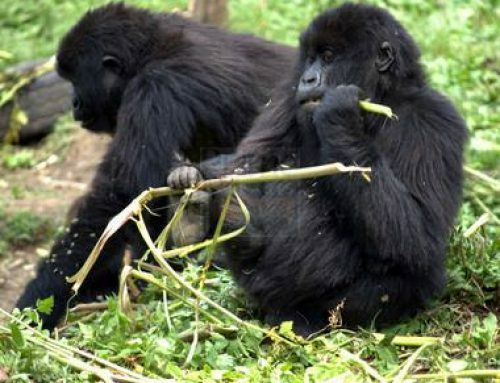 This 9 Days gorilla safari Bwindi, Murchison Falls Park safari & Kibale chimpanzee trekking tour Uganda/ 9 days Uganda wildlife tour has a blend of the most adventurous Uganda safari activities many tourists long to do while on a safari in Uganda. In 9 days during your tour in Uganda, you will visit the world’s most powerful waterfalls; Murchison Falls, do a Uganda wildlife safari game drive in Murchison Falls National Park where you will view the big 5 game animals including a stopover at the Ziwa Rhino sanctuary, visit the “Primate capital of the world”; Kibale National Park for your Uganda chimpanzee trekking safari, the Bigodi wetland as well as the hots springs in Semuliki National Park including the Albertine endemics that habit this park. This is a private safari tour that will start and end in Kampala in a 4×4 safari land cruiser, 4×4 safari van, 4×4 safari super custom, 4×4 safari mini van depending on the number of people you are going to travel with. 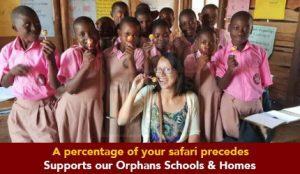 Accommodation on this tour in Uganda will depend on your choice ranging from luxury, mid-range and luxury. On this day you are required to wake up very early in the morning, have breakfast at your hotel. You will after meet and greet with our professional driver guide. 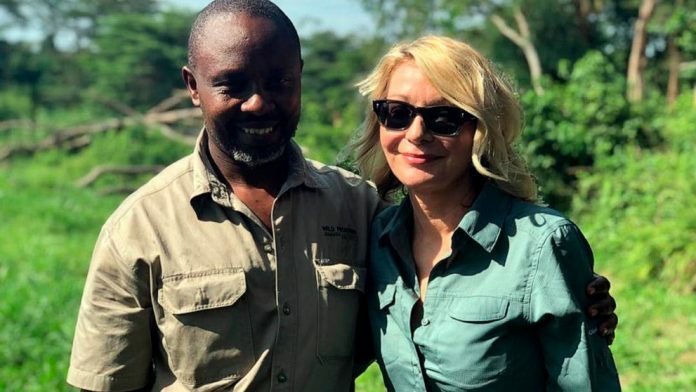 Upon meeting, he will give you a brief meeting about your 9 days safari Uganda and after set off for your journey to Murchison falls National Park using the Bombo road; a drive that will take you approximately 5 hours to get there. Along the way, you will see the famous Luwero triangle, that has developed into a small town. It is famous for its painful history of the Baganda mass murder. Continue with your journey to the Ziwa Rhino sanctuary where you will do Rhino tracking, have lunch before proceeding to Murchison Falls National Park. On arrival in the park, check in. Depending on how you feel, you can do a game drive and then proceed to your lodge, check in and relax. On this day set out for a game drive very early in the morning after breakfast along the park trails looking out for the early morning risers as they go to search for their prey. During your game drive in the park expect to see elephants, Uganda kobs, giraffes, lions, water bucks, hippos and buffaloes, plus a diversity of bird species. 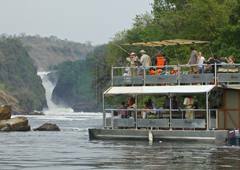 Return to the lodge for lunch, rest and later in the afternoon, enjoy a boat cruise to the bottom of the falls to see a diversity of wildlife on the river banks drinking water. While on the boat, you will see various antelope species, crocodiles, water bucks, hippos, elephants, buffaloes among many others including a diversity of water bird species. The scenery of the waterfalls displays a natural beauty that is unmatched to no other place in the whole world. The falls are characterized with an 8-meter gorge and a 45m drop of these falls results making thunderous roar and a gorgeous rainbow that appears in the cloud. Return to your lodge, relax, dine and spend the night. This is one of the most interesting days. Wake up to an exciting morning, have breakfast and after proceed for your chimpanzee trekking safari in Budongo forest taking you approximately 3 to 5 hours. Besides the Chimps that habit this park, Budongo forest is as well known for its special Mahogany tree species which are very tall. 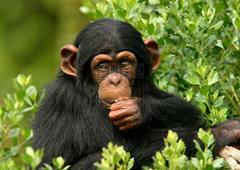 During your chimpanzee trekking safari tour Uganda, you will encounter with numerous primates including the forest galago, red-tailed monkeys, potto and the blue monkeys. In addition, you will also sight several bird species like the yellow-footed eye catcher and the white-thighed hornbill. Return to your lodge, relax, dine and spend the night. On this day, you and your driver guide will drive to Semuliki National Park. During your journey, you will enjoy spectacular views of Lake Albert and the legendary Mountain Rwenzori ranges. 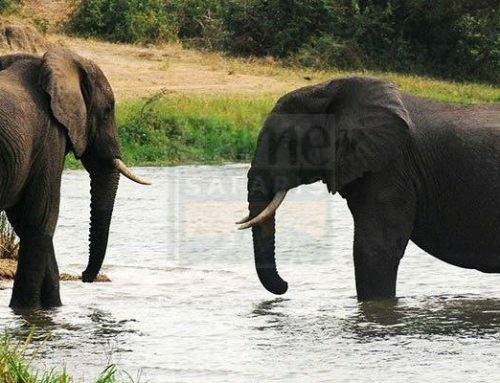 Semuliki National Park is situated in Bundibugyo district along the western border of Uganda and the Democratic Republic of Congo close to Lake Albert. This park has a great location within western Albertine Rift valley region and occupies the eastern section of Ituri forest connecting Uganda with Congo River separated by river Semuliki. Semuliki is the best site for ornithologists with approximately 400 species of bird mainly forest birds and more than 52 mammal species including 11 diurnal species. In the night you will have a spot-lit game drive in the park. During the night game drive, this is the only one of this nature in the whole of Uganda and see the thin white-tailed mongoose, very small night-jars plus several cats. Retire and go to the lodge for dinner and overnight stay. After your breakfast, you will visit the highlight in Semuliki National Park, the Sempaya hot springs. These natural springs have a geyser shooting high from an 8-meter-wide hole at a very high temperature. 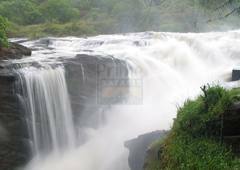 Of its kind, it is the largest in the whole of Uganda. On this very trail as you explore, you and your guide will identify a couple of bird types such as the blue breasted kingfisher plus Frasier’s ant-thrush in addition to primates such as the grey checked mangabey plus the red-tailed monkey. Proceed to Mungilo waterfall to see some other fascinating birds; particularly ideal for birders. In the afternoon after your lunch, do a community walk, or visit the nearby forest for a simple birding safari in Uganda. Retire and return to the lodge, relax, and dine. After breakfast in the morning, head to Kibale National Park another favorite tourist destination. Along the way, you will Enjoy the beautiful drive southwest through Fort Portal where you will have a lunch break. While there, you will sight the Toro Kingdom palace, the eating places, Royal tombs, the mosque and several shops. 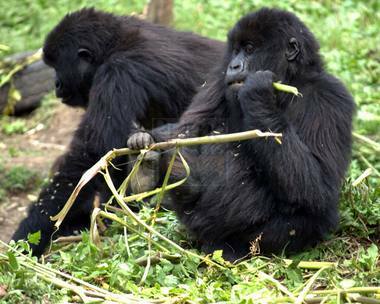 After your lunch, proceed to Kibale National Park; “the primate capital of the world”. This national park has the biggest number of primates in the whole Africa as well as the chimpanzees. Others include the black & white Colobus monkeys, the blue monkeys plus baboons. Upon arrive in the park, you will take a guided nature walk in the Bigodi swamp; a very good place for birders. While there, will see the the Papyrus Gonolek plus the Blue Turaco can easily be seen among other 137 bird species found there. In addition, there is a great array of colorful butterflies. Retire from the activity, and check in your accommodation as prior booked. On this day, wake up to a relaxed breakfast at the lodge, prepare to depart this part of the world for Bwindi Impenetrable National Park at around 8am with your driver guide. 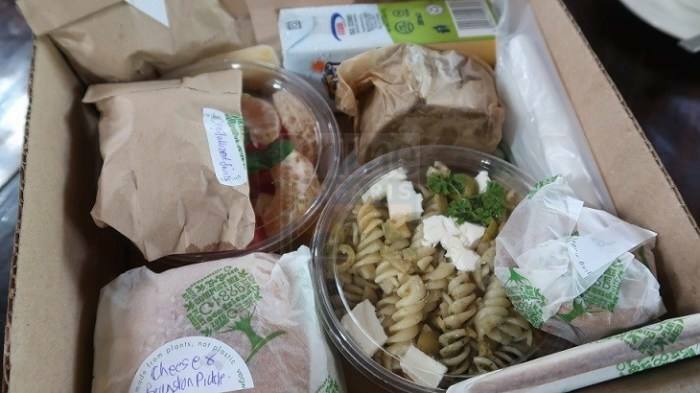 Arrive at your lodge, relax, have dinner and overnight stay there. 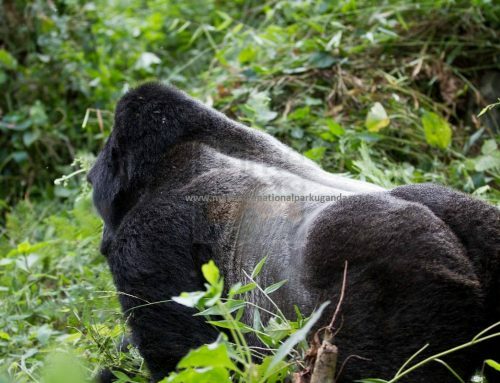 Wake up early morning, enjoy breakfast, have your lunch packed and drive to the park headquarters where the gorilla trekking activity begins as early as 7am to catch the Uganda gorilla safari briefing about the code of conduct when trekking mountain gorillas in the forest. 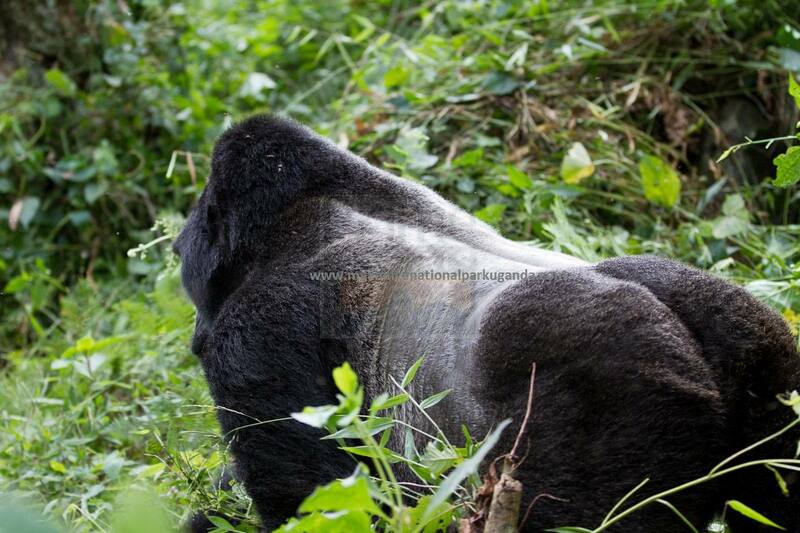 After your briefing, you and your ranger guide will hit the forest for your amazing expedition of meeting the gorillas. As part of your adventure, you will see different tree species in the forest as well different bird species. As soon as you sight the gorillas, you will enjoy an hour observing their behavior as they continue with their daily activities in your presence; not forgetting to take photographs and videos for memories of this activity. Depending on how you will be feeling, in the afternoon, you will engage in a guided walk to the Batwa homesteads for local entertainment from these early human inhabitants of Bwindi Forest. Return to the lodge, have dinner and overnight at your lodge. Early in the morning after tour breakfast in the morning, prepare to leave this part of the earth and return to Kampala. You will break your journey in Mbarara at Igongo cultural centre for lunch and at the equator in Kayabwe for pictures, water experiment, and visit souvenir shops, later in afternoon proceed with your journey to Kampala.